This week, we have news about a potential iPhone security risk and information about Microsoft stores opening in select markets. In addition, there are announcements from Full Tilt Poker and PokerStars about current promotions and events. According to a Forbes report, some cyber security researches are planning to publicize a security vulnerability in the iPhone SMS messaging system that would reportedly allow a hacker to take over an iPhone. The researchers, named in the report as Charlie Miller and Collin Mulliner, notified Apple over a month ago. No patch has been released. Microsoft has signed leases for retail stores in Scottsdale, Arizona and Mission Viejo, California. These stores are going to compete directly with Apple’s retail outlets. The store at Mission Viejo will be placed in close proximity to the Apple Store at a local mall. Openings are expected to coincide with the launch of Windows 7 on October 22nd. Now that the beta of its new lobby software has been released to the general public, Full Tilt Poker has been giving away free bonus money to everyone on the site. The new software is available as a download for Mac OS X from the Full Tilt Poker website and so far, reports are that the bonuses range from $100 to $500. All you have to do is download the new software, install it, and log in. From there, go to the “Cashier,” “My Promotions,” and then click on the “Biggest Bonus Ever” banner at the top of the page. Players have 30 days to clear as much of the bonus as they can and the money will be released to an account as soon as it’s 100% cleared. 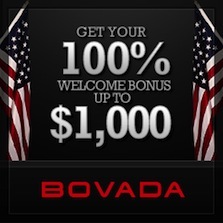 If a player does not clear the bonus by the deadline, they will receive a pro-rated share of their cleared bonus. The popular World Championship of Online Poker (WCOOP) is about to get underway once again at PokerStars. Satellites have already begun and can be found from within the PokerStars lobby. Extreme Satellites are scheduled to start on August 4th and range from a $7.50 buy-in (for $109 tourney tickets with 100 seats added) all the way up to an $83 buy-in satellite (for $530 tourney tickets with 50 seats added by the poker room). With over $1 million in added value by PokerStars, players are sure to be scrambling to qualify for this popular online tournament poker series.